There’s the whole Buddhist thing about the essence of a bowl being its emptiness—that’s why it’s useful. Its emptiness allows it to hold something. I guess that means that design must talk about something else. It’s not just there to ‘make things pretty’ (which is how some of my family members describe what I do for a living). That can certainly be part of it. After all, having aesthetics that are visually pleasing to your audience is part and parcel of the goal of design. But notice my wording there- goal. Design has a reason for being, and something to accomplish. It is strategy made visual. Without that, it’s just art. It can sit there and look pretty, like the bowls in a stack. 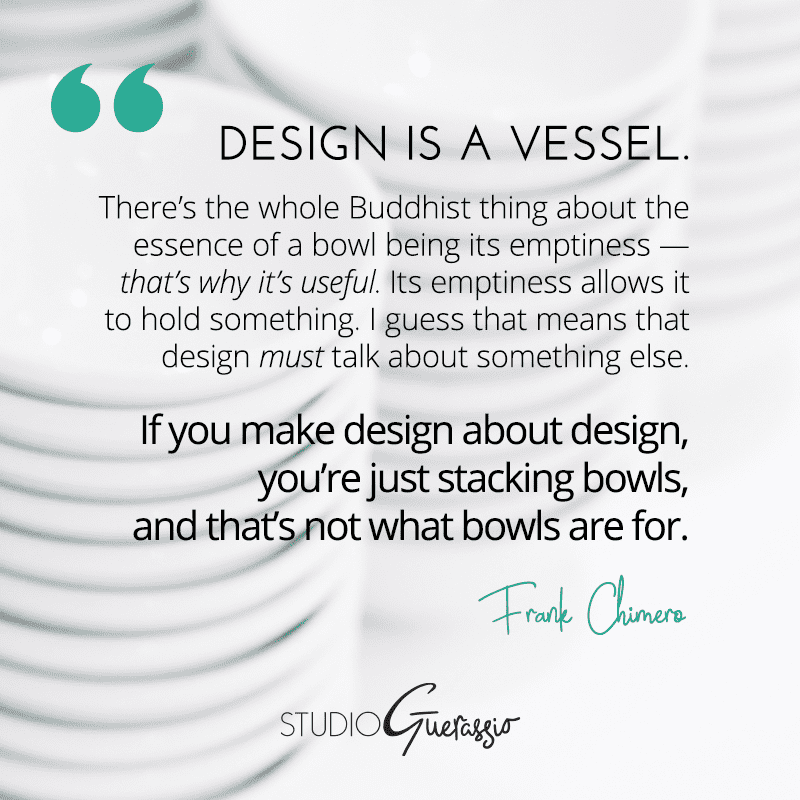 But as Chimero says, that’s not what design is for. Is the design for your business acting as a vessel for your brand and message? Or is it just a pretty stack of visuals?